· Candidate at least matric pass. · Candidate at least understand English and at least understand the customer query and answer the customer questions. · Candidate must have strong knowledge about google maps. · Any nationality boy can apply for this job. · If you’re in UAE then apply for this job other vise no need to apply. 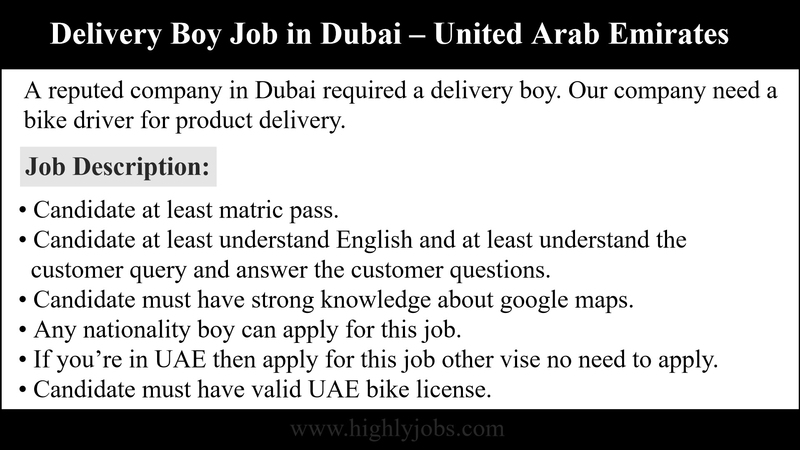 · Candidate must have valid UAE bike license. If your interested in the job then please contact to employer on WhatsApp.